Fall crop orders due June 15: Lettuce, kale, totsoi, broccoli, spinach, parsley, cilantro and more! Nice meeting you this spring! I met some of you this spring at the Oakley Farmers Market or at my Saturday plant stand on Onteora Blvd. Thanks for your interest in my business! I hope to see you again soon. I should be at the market again at the beginning of August with fall crops, depending on my plant inventory at that time. To ensure you get the plant varieties you want, please consider ordering ahead through my Pre-Season Prep Service. I'm thinking ahead to your fall crops because I'll be seeding most plants mid-June so that you can plant by the beginning of August. 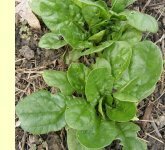 This year I'm offering 25 varieties of arugula, broccoli, cabbage, chervil, cilantro, collards, kale, lettuce, mustard greens, parsley, spinach, Swiss chard and totsoi (pictured right). Be sure to view more images of these varieties here. Contact me at gardens@wncmretc.com and I'll send you a plant list and order form. Email the completed order form to me by Saturday, June 15 to ensure you get the varieties you want. I'm now offering a recycled pots discount. I'll take 25 cents off the price of your plant if you give me a clean 3-inch to 5-inch pot or 4-pack at pick-up time. In doing this, I'm continuing to limit the amount of plastic my business adds to the landfill as well as decreasing the amount of labor I spend washing pots so I can keep my prices affordable. While I thoroughly sanitize all my pots regardless, I request that you give them a pre-wash, spraying off all dirt and scrubbing them with dishwashing soap. Please make sure the pots don't have so many cracks that that they are unusable. M R Gardens solely uses organic potting soils, pest control methods and fertilizers. Plants are sold on a sliding scale to ensure the availability of healthily grown plants to all layers of the community. 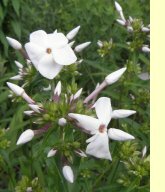 I trade seeds with Appalachian growers or buy seeds from companies that have taken the Council for Responsible Genetics Safe Seed Pledge. Growing space is limited so please order as soon as possible to reserve your plants. 1. Pre-Season Prep customers receive the strongest, healthiest plants. Since you took time ahead of the season to be proactive and make my life easy, I make sure you go home with the best looking seedlings. 2. You can make special requests for varieties that aren't on my plant list if you contact me two weeks before the plant order deadline. I'm always interested to try plants you like the taste of or you had particularly good luck with in the past. 3. You're less likely to become overwhelmed with all the plant choices out there if you have time to do research ahead of time and think through your decision. 4. You can thoughtfully pick out plant companions so you can create a healthy garden community. 5. As you read through the plant descriptions, you can select the ones you cook with the most and that give you the vitamins and minerals your body specifically needs. 6. You're more likely to be proactive with the rest of your garden tasks—prepping your beds before your plants arrive home. 7. Your plants are well nurtured, remaining out of inclement weather, until they are safely in your car on the way to their new home. 8. You can arrange a time to get your plants that fits well with your schedule and with the increasingly unpredictable last frost date. 9. You have the option of taking a quick tour of my gardens when you pick up your plants at my property, generating ideas for your own garden. 10. Pick-up day is a good time to receive special attention. You're not rushed to ask how-to questions. 11. Once you are home with your plants, you know you have space for them because you did the pre-planning your plants deserve. 12. You can feel satisfied that you're helping your plant nursery achieve ecological sustainability. By receiving the orders at the beginning of the season, I can plan accordingly, avoiding throwing unsold plants into the compost pile. 13. You're also contributing to the economic sustainability of a new local business. As long as there is demand for Pre-Season Prep, I'll continue to offer this service. New to gardening? 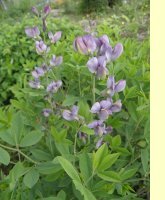 Want more edibles and natives in your landscape but the project seems too overwhelming to start on your own? 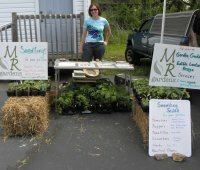 I hope you'll consider my garden coaching services and edible landscaping packages, which you can read about at my website: mretcllc-mrgardens.blogspot.com. I recommend all beginner gardeners choose one of my packages that includes hands-on garden training, but now that your summer crops are in the ground, you may be interested in my "Phone Call Away" service. This package is for those who have established garden beds, but still need instruction on caring for the plants throughout the year. I am available to answer questions via email and phone for these clients. This package includes at least one visit at the client's property. Coaching and design fees vary depending on the needs of the client and size of the property. 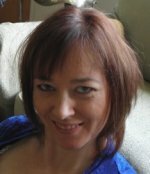 I am currently offering a special for a $20 initial consultation and site visit, which usually takes about an hour. That consultation fee is waived if you commit to a package that day. I offer a sliding scale for my services to encourage all community members to try edible landscaping regardless of their resources. A reminder: from now until June 14, I've dropped the low end of my sliding scale to $12 an hour for customers seeking tutorials on direct seeding. Some seeds may be included in the price depending on which crops you request. I can best assess the tilth of your soil (i.e the structure) and give tips for improvement by meeting with you in person at your garden. You also have the option of a seeding lesson on-site at M R Gardens. It's much easier to achieve good tilth if you know what it looks like in established gardens now in their fifth year. There's still time to seed summer crops such as squash, cucumbers, melons, beans, okra, edamame soybeans, and popcorn. Please contact me at 828.333.4151 or gardens@wncmretc.com. Read more about the special on my website. I also weigh the pros and cons of direct seeding, from a plant health perspective and from a sustainability perspective, in this article. "I decrease the use of plastic as food goes straight from the garden to the frying pan. Less storage bags needed." Read 21 more ways here. Click here to read about my diverse background in horticulture, sustainable agriculture and experiential education. You just need a tad bit of basil for a recipe. You pay $5 for a few sprigs in a wasteful plastic container at the store, and promise yourself you'll use the rest of the herb before it goes bad. Two days later you look in the refrigerator and find wilted, black basil. Meanwhile, you realized the recipe also called for a pinch of parsley, which you forgot to pick up. 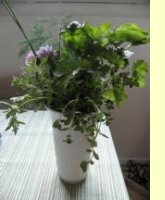 This common dilemma inspired me to start selling fresh herb bouquets to customers upon request. Pick the kinds of culinary herbs you need in whatever amounts you want at an affordable price. The following are currently available: thyme, oregano, rosemary, chives, and catmint. Basil should be ready for harvest in about a month and parsley will be available in the fall. and pick up your bouquet on site at M R Gardens.